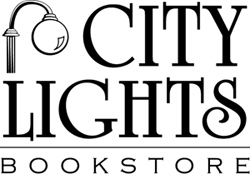 Michael Havelin will return to City Lights Bookstore on Saturday, November 17th at 3 p.m. He will present his latest in the Ben Bones Mystery series. In Ben Bones and the Twin Pistols, Ben Bones is called in by a collector of antique guns to help reunite a pair of dueling pistols that had been in his family centuries ago but had become separated. The search seems clear at the start, but quickly becomes complicated when ancient lineage lines diverge, and the twin dueling pistols do, too. Lives hang in the balance. It's a good thing that dueling has been outlawed, but maybe a "secret" rendezvous can be arranged early one morning. "Gentlemen, please name your seconds."